Daniel is nervous on his first day of school but through the class activities that mark the Matariki Festival he learns that it is a time of sharing and beginning new friendships. He learns the true importance of Maori New Year. Beautifully illustrated by one of our best-known an... read full description below. 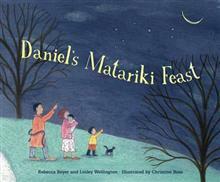 Daniel is nervous on his first day of school but through the class activities that mark the Matariki Festival he learns that it is a time of sharing and beginning new friendships. He learns the true importance of Maori New Year. Beautifully illustrated by one of our best-known and award-winning artists. 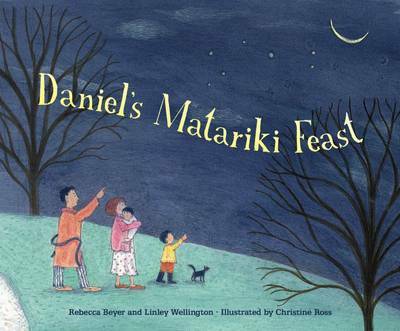 Rebecca Beyer and Linley Wellington are children's librarians and are actively involved in the promotion of the celebration of Matariki Festival that each year marks Maori New Year. Christine Ross trained in Graphic Design at Wellington Design School and then worked as an art editor and illustrator for School Publications. She has illustrated many school readers as well as books for a variety of publishers and has received the Unesco Noma Concours Award, the Russell Clark Award and the Aim Children's Book Award for Hemi's Pet.